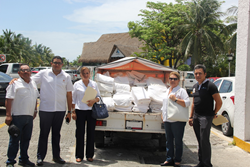 The hotel chain donated a large amount of towels, sheets and linens to the municipal DIF, an institution that will redirect them to the Temporary Assistance Home and the Nohoch Nah Home for the Elderly both in Cancun. 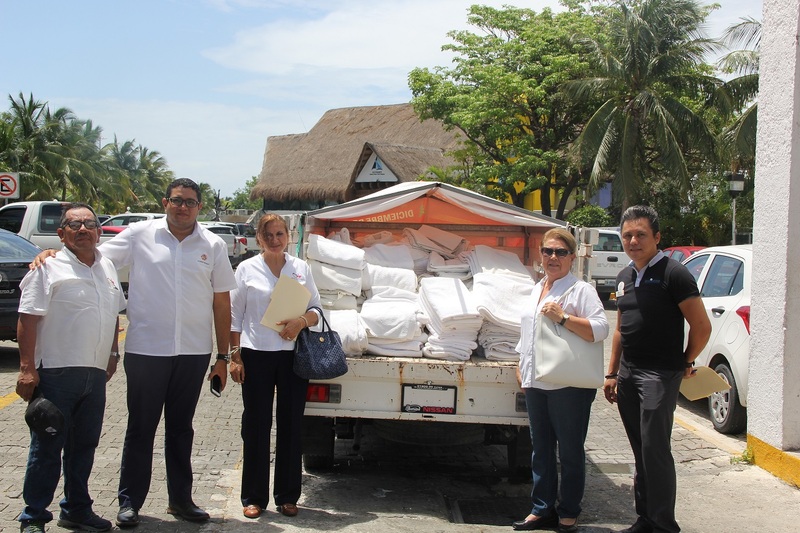 As part of the social commitment in favor of institutions that support the most vulnerable groups in the community, the Sunset World Resorts & Vacation Experiences hotel chain donated a large amount of bedding, towels and linens to the System for Integral Family Development (DIF). The tourist industry group, a leader in the vacation club system in the Mexican Caribbean, presented the in-kind donation to the DIF Director in the Benito Juárez municipality, Soumaya Amar, who voiced her gratitude at such a generous contribution. The donation will be allotted to the Temporary Assistance Home in Cancun that gives daily shelter to around 40 vulnerable children, and to the Nohoch Nah Home for the Elderly that gives assistance to 25 senior citizens. “We invite all the businesses in Cancun to join in this noble task of giving support to institutions that take on the task of social assistance such as DIF with daily efforts to protect and improve the quality of life of hundreds of Cancun residents,” said Mónica Roberts, Corporate Director of Operations for Sunset World, a company that does its bit every year to assist foundations working for those less fortunate. It is important to point out that on April of this year, the hotel chain gave a donation in-kind for the celebration of the 23rd anniversary of the Association for Parents of Children with Mental Deficiencies (APAFHDEM), and it actively contributes to altruistic activities in benefit of several sectors of society such as the Golden Years Senior Citizens Club in Cancun, a space of healthy social interaction for the elderly which was created over two decades ago.